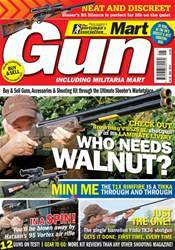 We have a fair few delights lined-up in this issue, with no fewer than 12 gun reviews available! 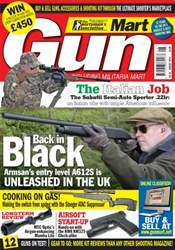 17 Hornet calibre and take a first-look at the Sabatti Semi-Auto .22 Sporter. 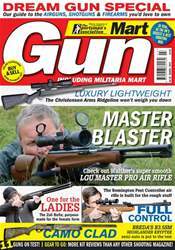 Over in our Airgun section we have some great springer's, including the popular BSA Lighting XL SE, the Cometa Fenix 400 Carbine and the new gas-ram powered Stoeger ATAC Suppressor. 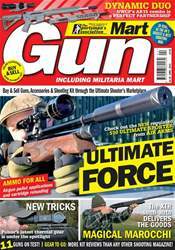 While in Airsoft we have reviews of two guns that would make ideal introductions to this exciting sport: the G&G Combat Machine EGMA4 and the green gas powered KWA KM325 pistol. Aside from the top gun tests we also have some great accessories and auxiliary equipment featured, including a first look at the Optix Firefly y 6 Gen 2+ Nightvision. 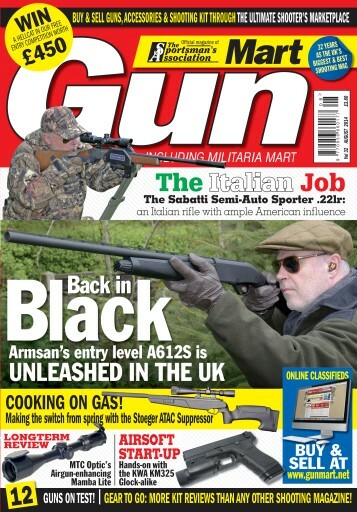 So, whatever your particular shooting sport, you are sure to find something to interest you in this month’s action-packed issue!